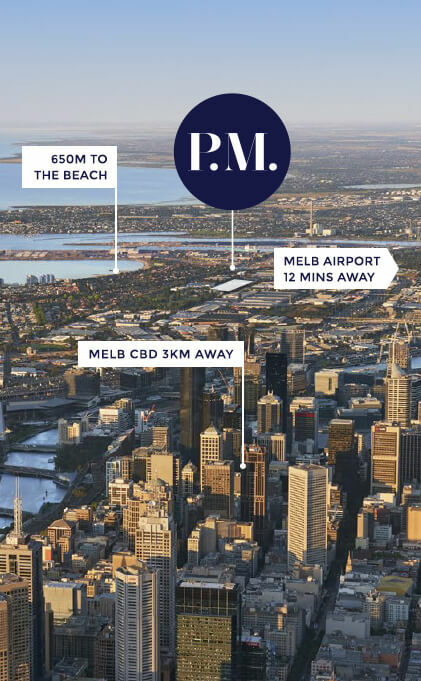 Residences and townhouses face Port Melbourne beach. Enter a home where pristine, calm colours evoke the feeling of the nearby shore. Eleven townhouses each come with their own unique address and feature high ceilings, large rooftop terraces and optional private spas. Sun, shade and fresh sea breezes. Unwind in P.M.'s private gardens or begin your day with a refreshing swim at the Azura pool. Make a morning stroll part of your routine. You'll be 6 minutes from Sandridge beach. Chase the sunrise and watch The Spirit of Tasmania pull into port. Port Melbourne's streets are lined with cafes, gourmet pubs and restaurants serving up every style of cuisine. 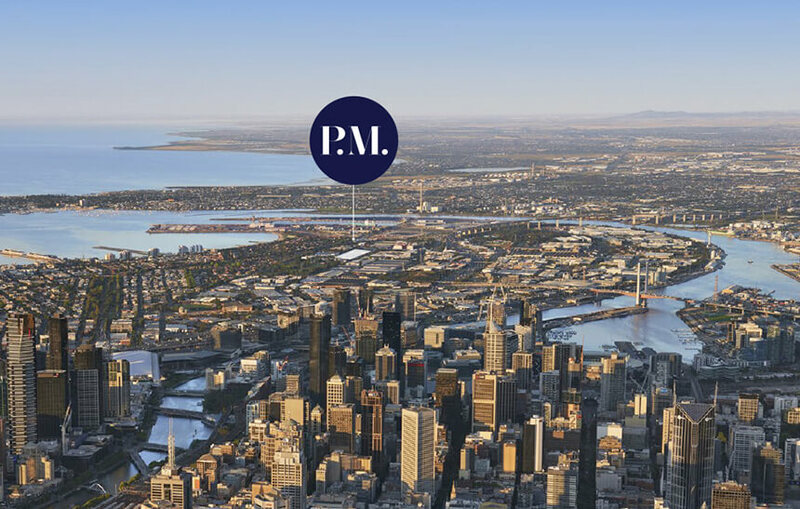 Thank you for your interest in P.M.
We will be in touch with you shortly to confirm the details of your appointment. Disclaimer: while every effort has been made to ensure the information contained herein is correct at the time of issue, the enclosed information is subject to change at any time.